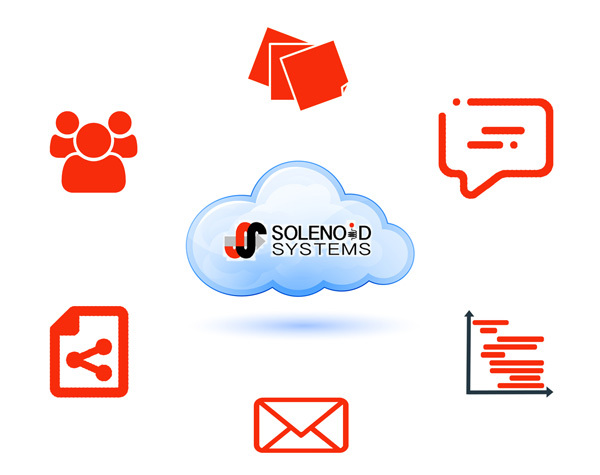 Every Project at Solenoid Systems is collaboratively managed through an online, secure, dedicated Project Portal. The Project Portal keeps team members (both Solenoid Solutions and the Customer) informed with dashboards, documentation and communications centrally stored and readily available, allowing team members to remain focused on engineering creative and innovative solutions. The Collaborative Task Management system combines Traditional Project Management (Tasks, Due Dates, Dependencies, Milestones, Priorities, Critical Paths) and Online Project Management (Collaboration, Visibility) into an integrated system. No more updating Gantt Charts. Tasks can be created by all team members and are automatically integrated into the project schedule. A single source for all project related Tasks. Multiple, disconnected and separate Task and Issue lists are eliminated.